For over a decade, Marie (not her actual name) has suffered from migraines - "really bad migraines", in her own words. Once a month, it gets so bad that she can’t go to work and must stay in bed – preferably in the dark - for 5 days. Marie is only in her mid-twenties, and I admire her candor and perseverance to want to leave this issue behind her; the last migraine attack was just a week ago. I introduce her to the Emotional Freedom Techniques (EFT) - along with the goal to send her home at the end of the session with some tapping to do at home. "I feel helpless every time, and feel like no one understands if I can’t continue to work and have to go home." And so we begin: we tap on the helplessness and the feeling of not being understood, while focusing on the situation at work last week with her colleagues, and Marie begins to relax. As so often happens when one starts to tap and the first relief occurs, our mind jumps to the next event that reminds us of similar feelings: Marie’s first migraine attack. She was then 14 years old and in unbearable pain. Why could she not even be spared a migraine on Christmas Eve and celebrate with her family in peace? Instead, she had to lie in a dark room while everyone else had a good time. Despair, but also anger comes up: anger at the universe that she can’t do what she would like to do, and again at being hampered and restricted due to these recurrent seizures. Migraines are, amongst other things, an expression of suppressed rage, and I'm glad we get to tap on the anger in the first session. The second meeting is mainly about the fear of getting another migraine: The fear of "losing" five days, the fear of how the migraines render her helpless and having to manage the stress caused by these attacks. Towards the end of the meeting, Marie noted that her first menstrual period (she was then 12 years old) was very unpleasant, and that from the age of 14 her menstruation and migraines occurred mostly simultaneously. "I have my period and no migraine!" She can hardly believe it. After 11 years of persistent migraines, this is like a miracle for her. However, following this, she suffers from herpes. I am not surprised that the body needs to find another outlet, since the fears and beliefs that have formed after such a long period of suffering are not yet resolved. I treat Marie on the massage table in order to bring her meridians of triple-warmer, spleen and stomach into balance. At the same time we talk about the herpes: when they first appeared and how she felt emotionally at the time. Beliefs that were incurred are resolved, as well as impotence and anger, which she had to endure since her first period. Since then, she has had the feeling of being out of control; again being deprived of her liberty. I ask when was the last time she felt free. "When I was 11", she answers. The 11-year-old is creative, musical, has many ideas and feels free. The 11-year-old is an important resource. Therefore, I ask Marie to contact the 11-year-old from time to time in the near future. Marie comes to the fourth session with a headache and anxiety that a migraine might come next. 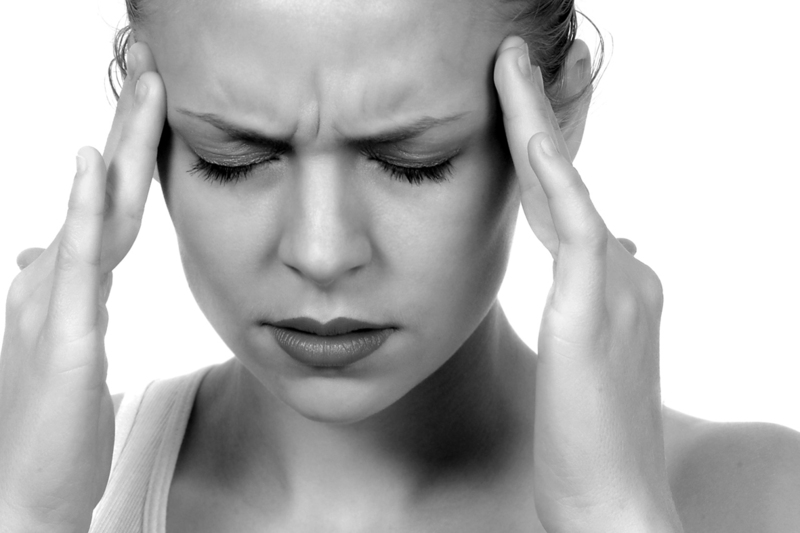 Fear of migraines is the theme of the next few meetings. I suggest that we start a constellation with “freedom", "disease" and "she". After the meeting, headaches and fears have disappeared. By now, Marie has understood how feelings affect physical reactions. In the next session we start a regular Family constellation. We all take on the feelings and beliefs of our families, whether we know about them or not, just as Marie has. Between the sessions which follow, we include other energy-treatments or tap. "It can not be that migraines will never come back"
We clear away the rage she feels over a friend, her fear of dying suddenly and feelings related to accidents in the past (each time having affected her head). It is incredible how many accidents this young person has already experienced. Marie has had 15 meetings with me and has been free of migraines since her first appointment. She has learned so much that now she can even tap at home whenever unpleasant feelings arise. She knows that she is not helpless and can do something at any time. Today she has more control over her life than ever before, and her conception of disease and health has changed.